A new documentary about the influential comic hits Starz Friday. Jerry Seinfeld, a while back, unveiled his Mount Rushmore of comedy: Richard Pryor, George Carlin, Don Rickles and (pre-disgrace) Bill Cosby. 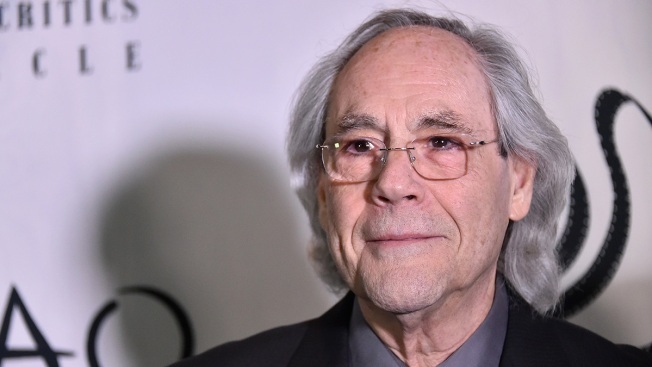 With a little more room on his imaginary stand-up monument, Seinfeld might have carved out space for an observational comic who taught him something about nothing: Robert Klein. Seinfeld is the headlining talking head in the documentary "Robert Klein Still Can't Stop his Leg," which makes its TV premiere Friday on Starz. The film, which airs nearly two months after Klein's 75th birthday, marks a celebration of the self-declared "Child of 50's," whose deceivingly influential humor has aged well. The movie's title refers to Klein's signature bit as a blues man who can't help stomping in time. He initially performed the routine on the fifth installment of "Saturday Night Live" – four episodes after Carlin became the first host, and just before Lily Tomlin and Pryor took the stage of NBC’s Studio 8H. That all happened in 1975, the year Klein also starred in HBO's first stand-up special. Klein, a former Catskills busboy and a Second City comedy troupe member, emerged as a strong link between old-school stand-up and counterculture comedy. His landmark 1973 album, "Child of the 50's," trafficked in Baby Boomer proto-nostalgia, but didn't wallow in it. Recalling on Cold War civil defense drills in school, Klein noted his teachers were “very subtle about it. They told us, ‘Children, the sirens mean disaster!’"
It's a bit that could have come straight from the book of Seinfeld, who is joined in the documentary by Jay Leno, Billy Crystal, Jon Stewart and other Klein acolytes. Robert Klein might not have made it to the mountaintop of humor, but like his hyperactive leg, his comedy goes on.